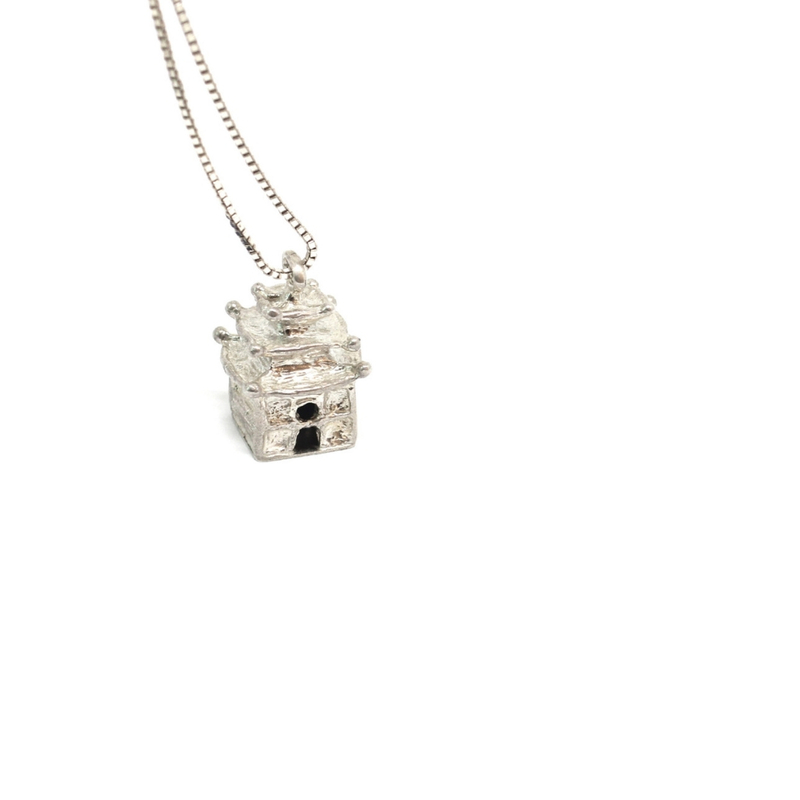 Exotic flairs for the Pagoda pendant in 925 silver sterling, as it comes from the several journeys the Co.Ro. 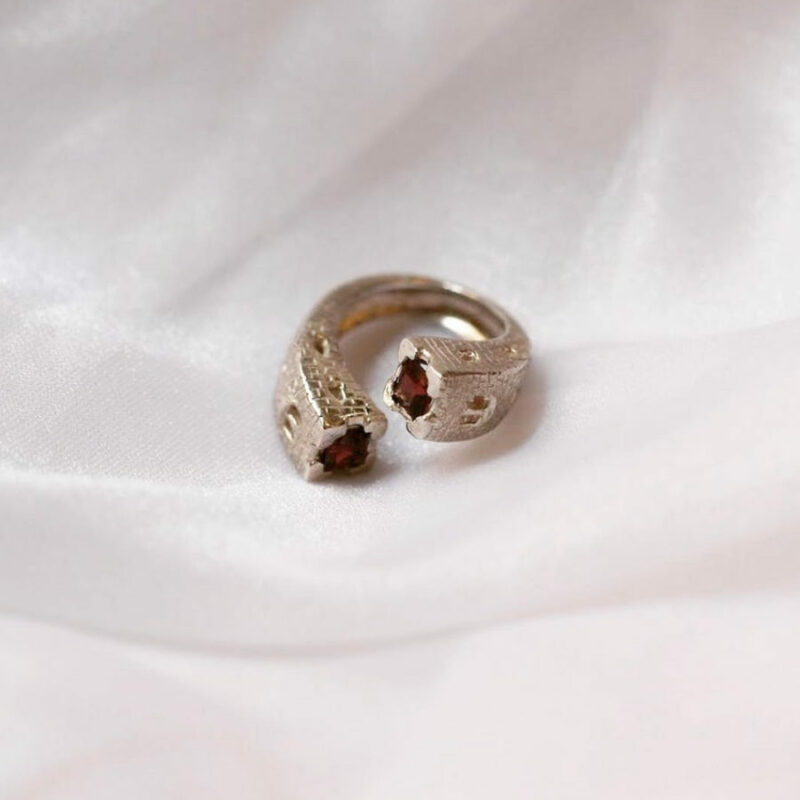 Jewels designer duo had in the Far East. 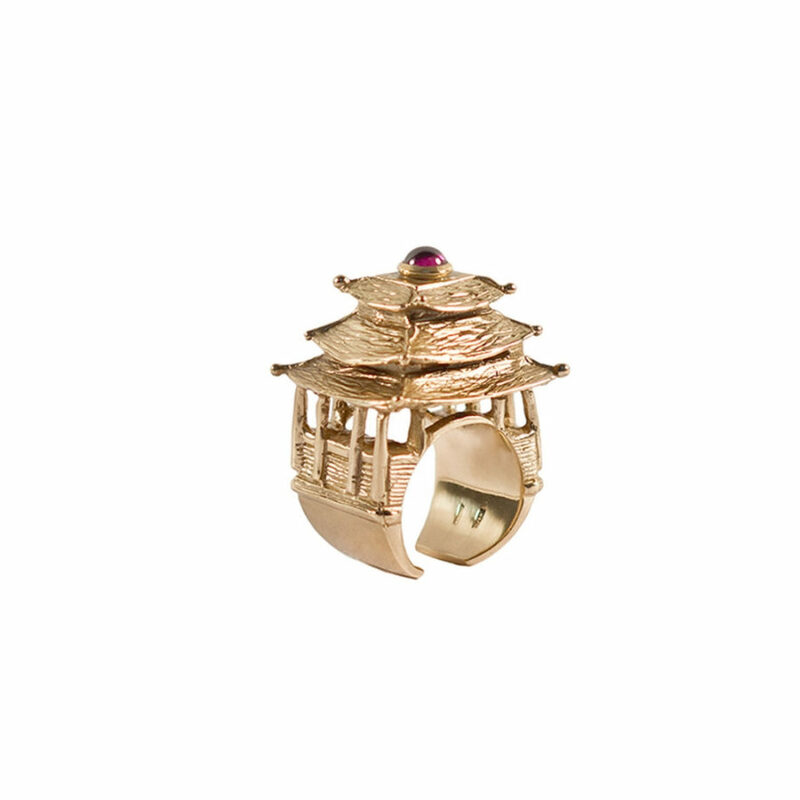 Our Pagoda ring in gold represents an imaginary Eastern-Southern Asia shrine: our personal tribute to Far Eastern civilization and its unique way of devising spaces, places and life. 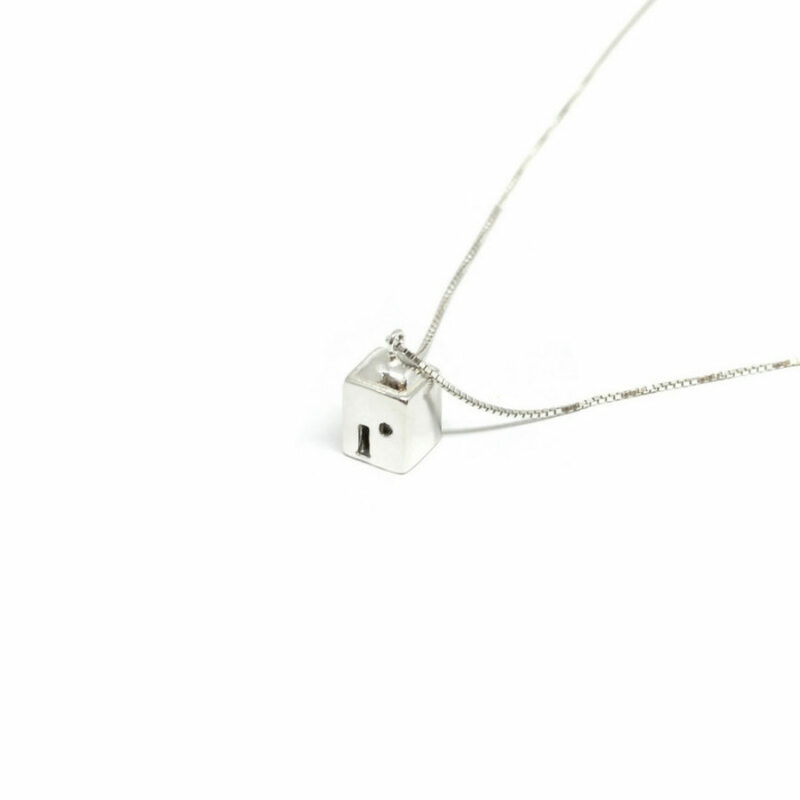 Please meet our beloved Positano pendant in 925 silver sterling: a Mediterranean architectural signature just close to your heart. 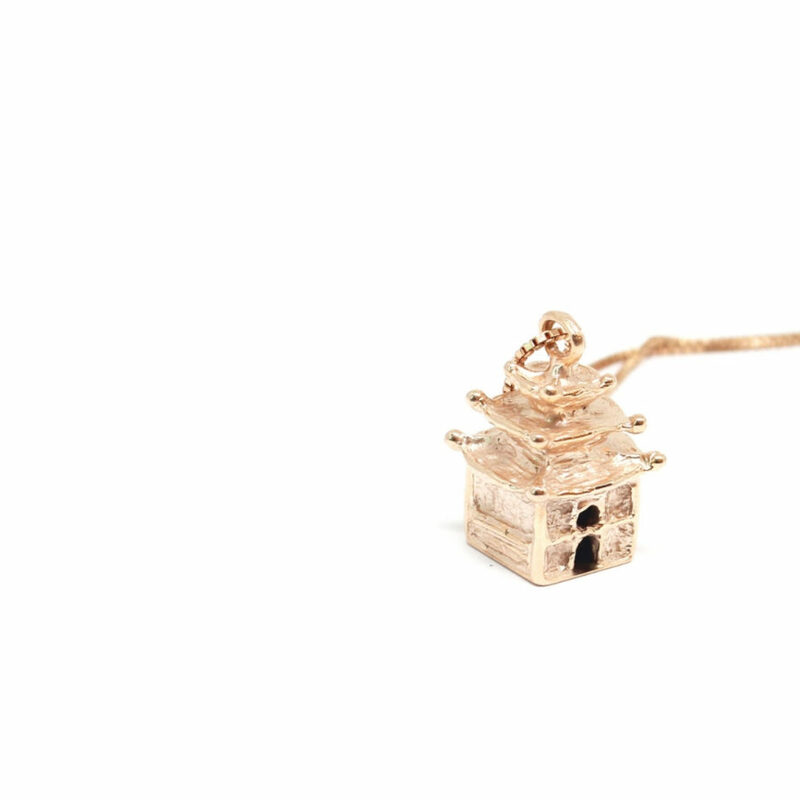 Exotic flairs for the Pagoda pendant in rose gold plated bronze, as it comes from the several journeys the Co.Ro. Jewels designer duo had in the Far East. 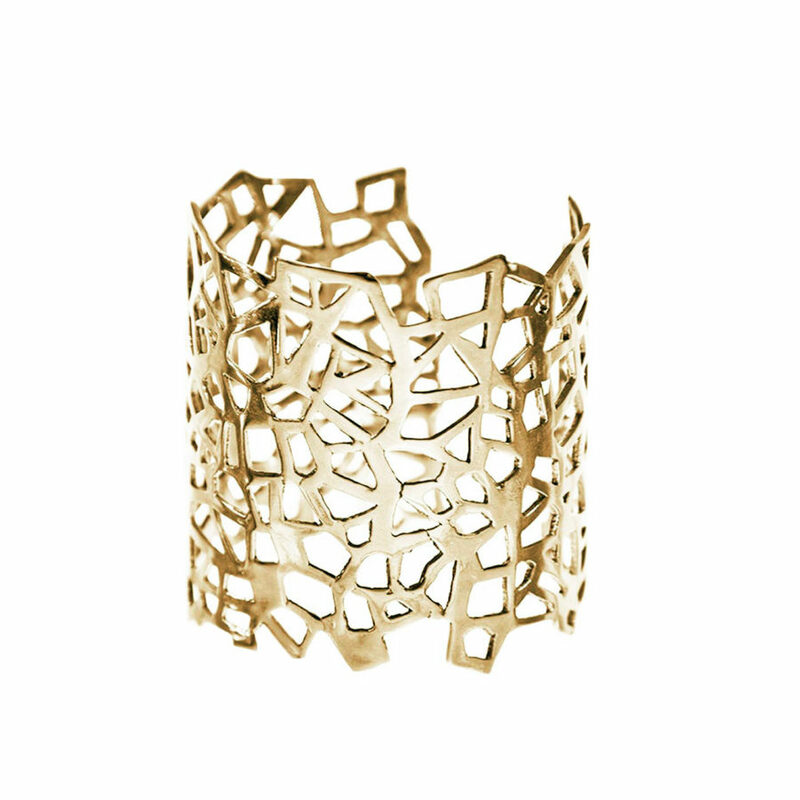 'Piscine Lutetia', an art decò building located in the 6eme arrondissement in Paris, and its original designs of balustrades inspired the exquisitely crafted Lutèce cuff in gold plated bronze.Trés jolie! 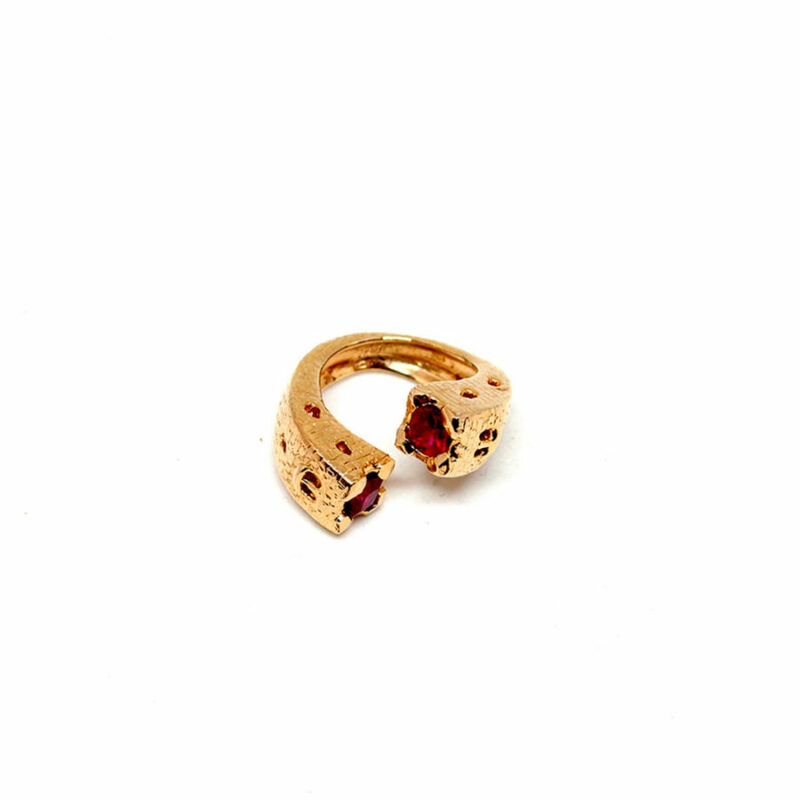 Slinky and fluid shapes create our Gothic Towers ring in gold plated bronze, inspired by medieval tower architectures and refined by red garnets on top. 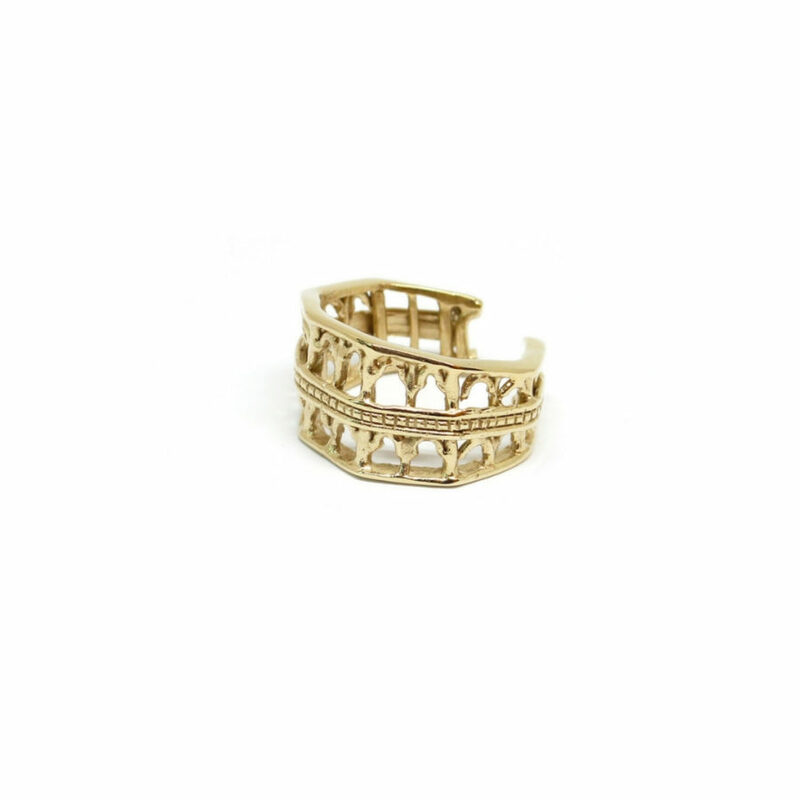 Our Portici ring in gold plated silver is inspired by the cloister of the Liceo Visconti: a Reinassance gem in the heart of Rome where the Co.Ro. Jewels designer duo met.